Lazily Spun is kind of a psychedelic/alterna thing. Mostly 3-5 minute tracks with one 8 min and one 14 min. It’s primarily vocal oriented with the rest of the band (instruments) relegated to the background - which gives it a kind of spacey effect. 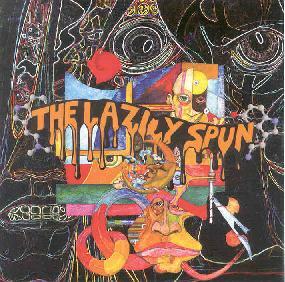 The Lazily Spun is Matt Woolham (vocals, guitars, percussion, sound manipulation), Harry Sumnall (bass, harmonium, guitars, percussion, keys), James Pagella (drums), and Juan Bercial-Velez (lead guitar). Matt strums and comps on both electric and acoustic guitars. Juan provides electric guitar soloing throughout. He solos behind everything, even the vocals - very tasty. The interplay between the strumming guitars and the leads has a very nice effect. There’s even Mellotron in places. It’s not really a guitar album. Almost everyone plays some type of keys or adds some sort of sound manipulation, including voice samples, so it’s pretty layered. The 2 long songs are a bit spacier, but that’s because there’s more room to experiment. I liked it because it’s a nice middle between new-psychedelic and alternative. For more information you can visit The Lazily Spun web site at: http://www.lazilyspun.co.uk. The Lazily Spun is distributed by Camera Obscura. You can visit their web site at: http://www.cameraobscura.com.au.